Ah, the dreaded double chin—it can affect even the most physically fit among us. This pesky accumulation of fat on the neck can be incredibly bothersome, especially in the age of selfies. 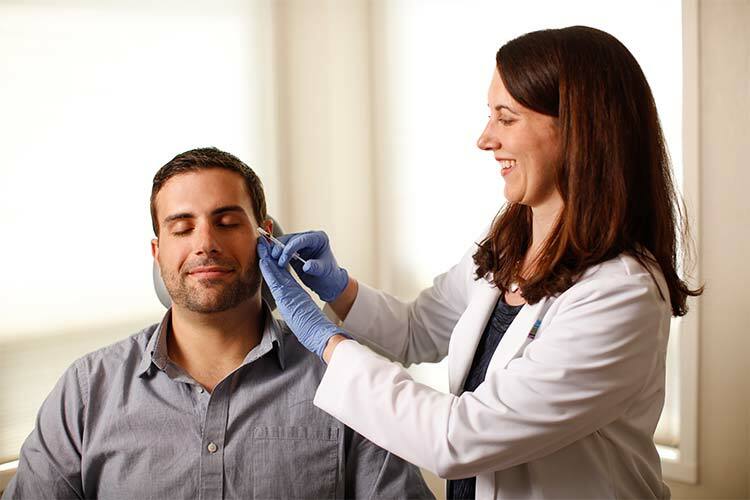 FDA-approved KYBELLA offers Rochester patients who are frustrated by a double chin reduce its appearance and without an incision. We often assemble treatment “packages” for patients, with complementary products or services to ensure our patients get the best results possible. 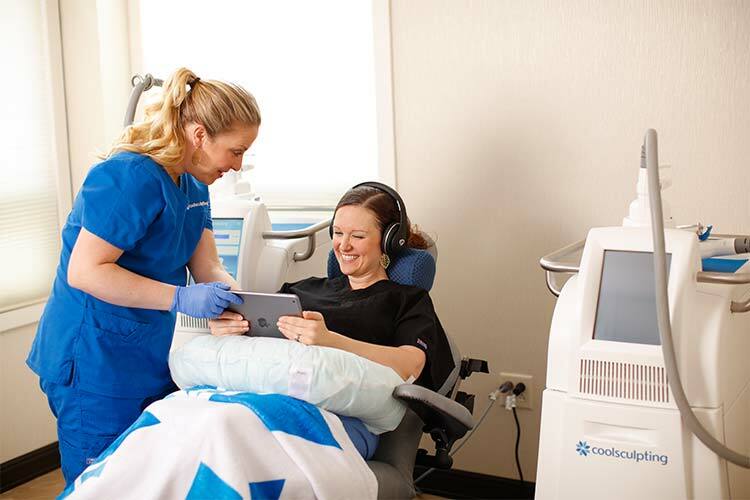 When it comes to neck rejuvenation, we often recommend CoolSculpting® or even Ultherapy® to further define your chin. The secret to KYBELLA’s success is its active ingredient. Called deoxycholic acid, this product is naturally produced by the human body—primarily in the digestive system. Its purpose is to break down fats in the food we eat, making them easy for the body to process. When purified and isolated, as it is in KYBELLA, deoxycholic acid can effectively dissolve subcutaneous fat. 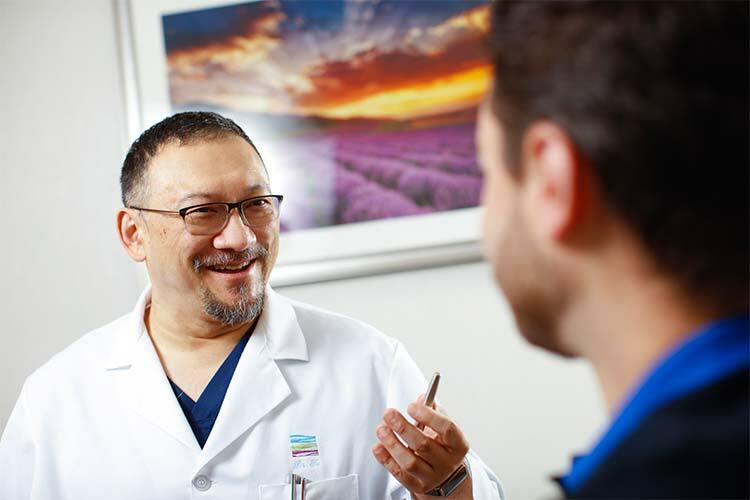 At Dermatology Associates of Rochester, our practitioners use a blend of deep physiological knowledge and artistic instinct to create noticeable, naturally looking results. Not particularly. KYBELLA injections use a very fine needle, and a topical anesthetic is always available. Most patients say that the procedure is comfortable. No. Currently, KYBELLA is only approved to treat the double chin. But this doesn’t mean that future research could reveal that KYBELLA is useful for other areas. At this point, however, we haven’t found that it’s particularly useful on other parts of the body. 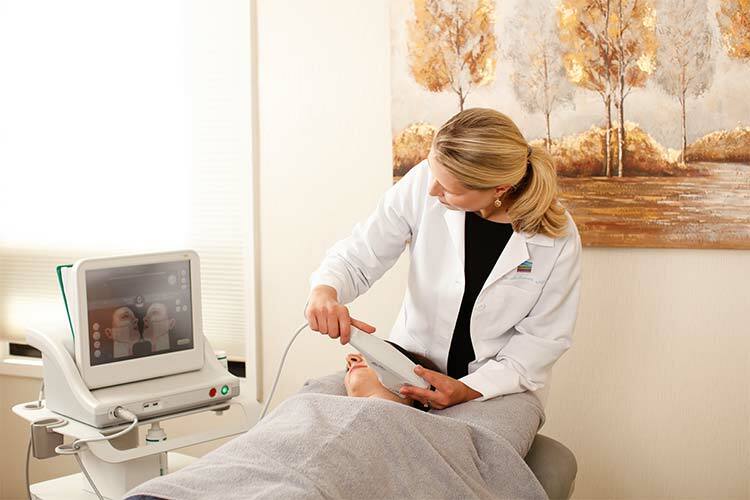 On average most patients require a series of 2 to 3 sessions to achieve the best possible results. These brief appointments are spaced several weeks apart to allow the product to take effect and the results to become more pronounced. What kind of recovery time does KYBELLA require? KYBELLA is an injectable procedure, and, like most injectables, it doesn’t require any downtime after your treatment. You can safely and comfortably get back to your usual daily activities as soon as your visit is over. Be mindful of the potential side effects, however—most notably, inflammation, swelling, bruising, or bleeding at the injection sites. These symptoms go away on their own within a day or so. Learn what KYBELLA can do for you. Request your consultation at Dermatology Associates of Rochester online or call our office at (585) 272-0700 to book your appointment.